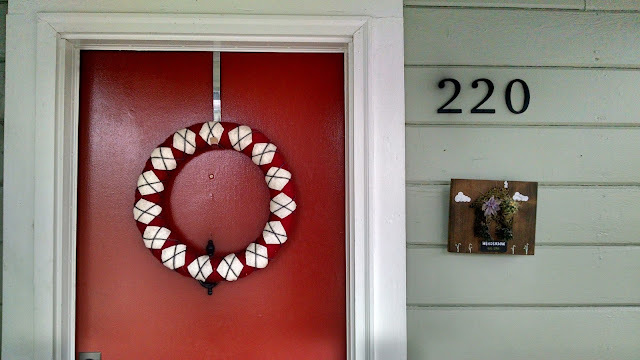 I love argyle and I love Christmas, so why not put the two together and come up with an argyle Christmas wreath? 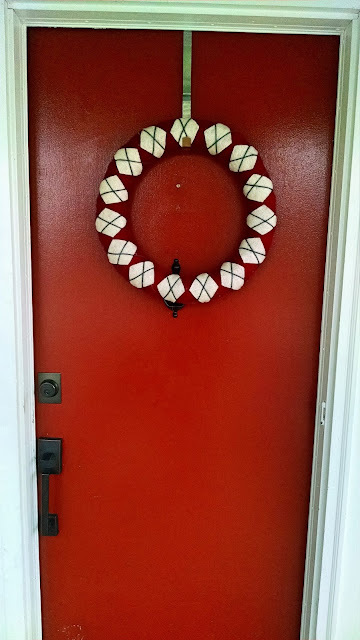 A few years ago I made a wreath for my mom out of simple and easy to find materials. Its super simple and I will show you how. 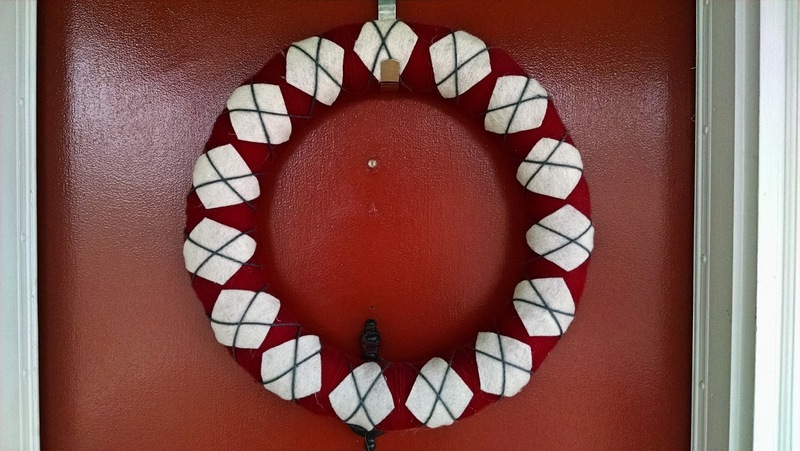 Straw wreath in a size of your choosing. You can find these at any craft store. Two colors of yarn. One for the main color and one for the crisscross color. One color of felt for the diamonds. Hot glue gun and scissors. Making the wreath is easy but a little tedious. You have to wrap the yarn around the straw wreath as tightly as possible so you can't see the straw showing through. This is going to take a little while. For me it was about an hour. One you have the whole wreath wrapped you can tie off the yarn on the back of the wreath so you can't see it. 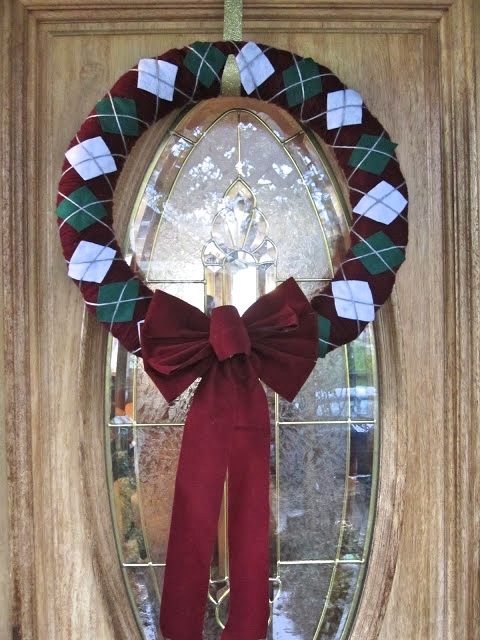 Use the felt to cut diamond shapes to glue onto the front of the wreath. The amount of diamonds depends on how big you make them and how far apart you space them, so make sure you lay them out on your wreath before you glue them on to get your spacing correct. Take the second color of yarn and glue it to the back. Wrap it at an angle one way around the whole wreath and then wrap it the other way to make the crisscross pattern over the diamonds. And that's it. You have a wreath. Now you can always add a ribbon like my mom did to hers, or just hang it without like I did. Pick any colors you like. Get creative and as always, share what you made so I can see what you came up with.